When I saw the Razer Forge announced in January, I thought it was the Android TV device to beat. If you’re looking at the traditional $99 range, that’s true. 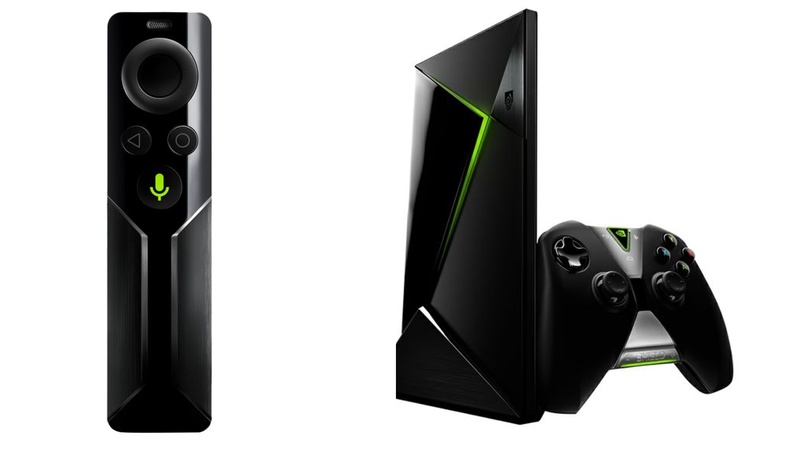 However, Nvidia just potentially blew it and everything other than a dedicated game console out of the water with the announcement of the new Shield Android TV set top. Not only does this Shield pack some huge gaming power, but it’s also the first major set top box to support 4K Ultra HD. Let’s take a look. The Shield runs Android TV. The platform allows manufacturers to customize their devices while connecting to a centralized and curated version of Google Play for content. However, it isn’t locked down to Google Play as there are apps available for most streaming services as well as a collection of Android games. You’ll have access to content from Netflix, Hulu, Plex, and basically anything else you can think of. But before getting to games, let’s talk hardware. Nvidia also has some more tricks up its sleeve, but I’ll talk about that after hardware. The Shield runs Nvidia’s custom 64-bit Tegra X1 CPU. No, not the K1 from the Nexus 9, its bigger and badder follow up, the X1. The X1 features 8 cores and a 256-micro core graphics unit based on the Maxwell architecture. It also has 3GB of memory. The Shield comes with 16GB of built-in memory, but that can be expanded by another 128GB by use of a MicroSD card. I/O is very modern with an HDMI 2.0 port for 4K, dual USB 3.0, 802.11AC with MIMI in both 2.4 and 5GHz, and Bluetooth 4.1. The system comes with a Shield game controller, the same one released with last year’s tablet, but given that Android TV uses standard HID, it shouldn’t be too picky for connecting other Android controllers. There is an optional Bluetooth remote for control, but the console also has an IR port of use with universal remotes including the Logitech Harmony. Lastly, I teased some game services and Nvidia does give you a few more options than your standard Android TV Box. First, there will be a series of Android games designed specifically for this device including some AAA PC/Console titles like Doom 3: BFG edition, Borderlands, Resident Evil 5, Chrysis 3, and a bunch of other Android TV compatible games. The other way to game is through Nvidia’s Grid gaming service. Think Nvidia’s version of OnLive. It’ll give you accesses to modern AAA titles without having to wait for an Android port. The Nvidia Shield will ship bundled with one controller for $199 in May… of this year. If you were thinking about an Android TV device, can spend the extra $100, and wait a couple months, this might be worth the wait. That is doubly so if you have a 4K TV. If you like the new Shield, tell us in the comments below or on social media.